Cotswold Fasteners is a family owned business established in 1975 and supplying fasteners to merchants since 1985. Based in Cirencester, Gloucestershire we specialised in a range of fasteners including Cup Square Hex (M5-M20), Coach Screws (M6-M20) and Roofing Bolts (M5-M12) in Bright Zinc Plate and Galvanized finishes. 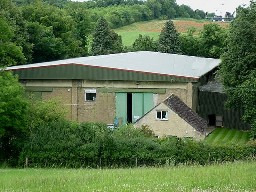 Moving to larger premises in 2005 Cotswold Fasteners increased our product range to include Threaded Rod (1m,2m & 3m), Channel Nuts, Hex Sets (M5-M24), Hex Bolts (M6-M30), Hex Nuts, Square plate washers, Repair washers and Form A - Form G washers all in Bright Zinc Plate and Galvanized finishes. Nyloc Nuts (Din982 & Din985) in Bright Zinc Plate, Red and Brown Expansion plugs and a large range of Brass fasteners. It was at this time that Cotswold Fasteners also became a premier fastener wholesaler supplying the fastener merchant. Cotswold Fasteners have also developed a Combi-Drive Tray Bolt with Serrated Hex Flange Nut in a Bright Zinc Plate finish. Designed for bolting cable tray or shelving this supersedes the roofing bolt & square nut and can be used with a power tool, thereby greatly reducing the time taken for these tasks. Cotswold Fasteners current range covers approximately 40 different products in over 1500 different sizes in Bright Zinc Plate, Galvanized and Brass. Cotswold Fasteners will continue to increase product ranges substantially for the customers' benefit. We are currently aiming for over 95% stock availability by October 2015. To be a necessity to every fastener merchant in the UK. Our company strategy supports our mission statement by offering our customers top caliber service levels and providing more than a customer expects to receive. Our cheerful, helpful staff are trained, efficient and qualified to help our customers meet the requirements of their customers even when they are very challenging. Our product range is constantly increasing and diversifying - so keep up because the pace at Cotswold is fast…! We love feedback, please click here to help us improve our service to you!